custom designed especially for you! 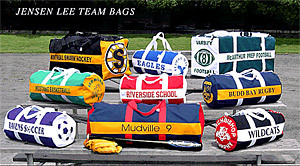 Jensen Lee team equipment bags are made to stand up to the rough, everyday use of people on the go. 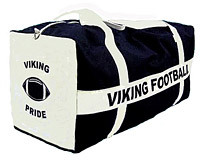 Sports teams across America have put our team equipment bags to the test. * All 18-oz. 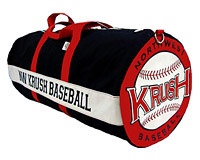 canvas team equipment bags carry a 4-year repair or replacement warranty. All other Jensen Lee products carry a 1-year warranty. 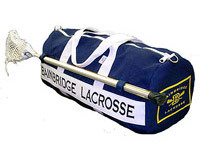 Please use the links below to browse team equipment bags for your sport . . . 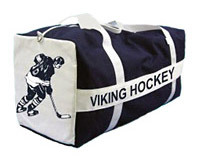 Important Note: Minimum order quantity for all custom equipment bags is 6. The prices shown are for a quantity of 6 - 11. 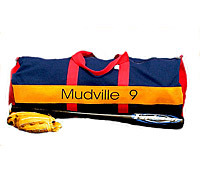 Please see the product details pages to view prices for larger quantities. 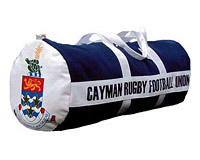 Prices will be automatically adjusted according to the quantity ordered.